Mercedes may have had fun creating some controversy at the New York Auto Show with the Gulf colored Mercedes SLS AMG but a few images that recently appeared and they contain something more interesting. 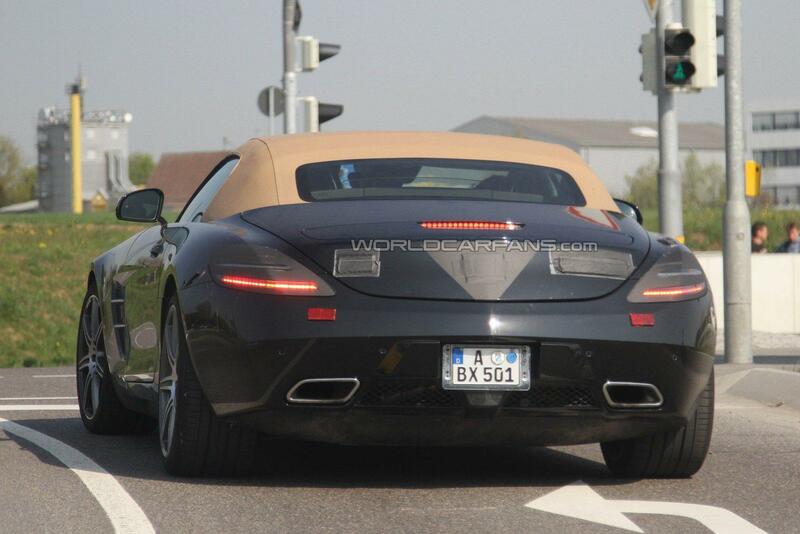 These may not look it, but they are spyshots and what they contain is the glorious 2012 Mercedes SLS AMG Roadster. 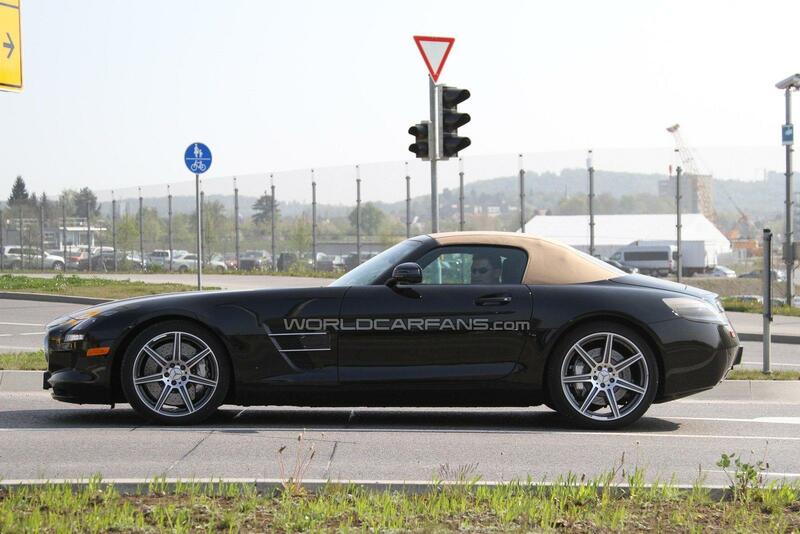 The best part about these images is that the 2012 Mercedes SLS AMG Roadster does not have any of the camouflage car makers typically use to hide their yet to be unveiled vehicles. Given the missing Gullwing doors on it, the Mercedes SLS AMG Roadster can actually be a properly grown up vehicle. Sure it’s a two door GT car but it isn’t an exaggerated poster toy any more either and that is what matters to owners. The soft-top layout will also mean that you get to enjoy the stunning sound of the most powerful naturally aspirated engine in the world. That’ll be the 6.2 liter Mercedes AMG V8 that produces 571 horsepower and 479 lb-ft of torque, something that will certainly make you visit the tire shop often. Team that power with the new body and roof and the 2012 Mercedes SLS AMG Roadster will hit 62 mph in 4.0 seconds and it will carry on to a top speed of 192 mph.